You may have heard about the potential impact of so-called ‘super tides’ which are due from Saturday 26 September to Saturday 3 October. These tides are enhanced by the autumn equinox which this year fell on Wednesday 23 September. 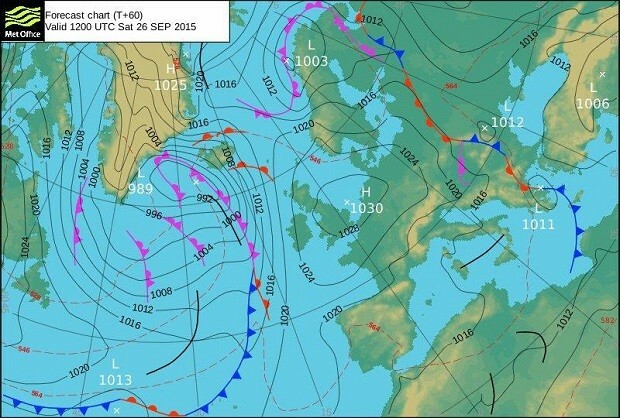 This blog written in conjunction with the Met Office provides an explanation of these tides. So what are ‘super tides’? Tides are governed by the gravitational pull of the moon and, to a lesser extent, the sun. Because the sun and moon go through different alignment, this affects the size of the tides. When the gravitational pull of the sun and moon combine, we see larger than average tides – known as spring tides. When the gravitational pulls offset each other, we get smaller tides known as neap tides. We see two periods of spring and neap tides roughly every month. Yet some spring tides are higher than others. This is because tidal forces are strengthened if the moon is closest to Earth in its elliptical orbit (astronomers call this perigee). Tide forces are also enhanced when the sun and the moon are directly over the equator. For the sun this happens on or around 21 March or September (the equinoxes). Spring tides are always higher at this time of year. The moon’s orbit also takes it above and below the equator over a period of 27.2 days. Just as with the Sun, the tide generating forces are at their greatest when the moon is directly overhead at the equator. Very large spring tides occur when these astronomical factors coincide. Approximately every 4.5 years the moon is closest to the Earth, and is also overhead at the equator, at either the March or September equinox. Astronomical tide levels through 2014 and 2015 are at their largest in an 18.6 year cycle when the earth, moon and sun align such that they combine to create a greater than normal force over the oceans. In some places, these extreme tidal conditions can cause water levels to be 0.5m higher than a normal spring tide, but the weather can have a greater impact than even these largest of tides. What is the role of the weather in sea levels? It’s important to realise that just because we are expecting astronomical tides over the next week, these won’t necessarily cause record sea levels. That’s because the weather can have a much bigger impact on sea level than the 18-year tidal cycle. Strong winds can pile up water on coastlines, and low pressure systems can also cause a localised rise in sea level. Typically the difference in water level caused by the weather can be between 20 and 30cm, but it can be much bigger. On the 5th December 2013, for example, the weather created a storm surge that increased the water level by up to 2 metres. Although an estimated 2,800 properties flooded, more than 800,000 properties were protected from flooding thanks to more than 2,800 kilometres of flood schemes. The Environment Agency also provided 160,000 warnings to homes and businesses to give people vital time to prepare. This highlights the importance of the Met Office and the Environment Agency working together to look at the combined impact of astronomical tides, wind, low pressure and waves on flood schemes to assess the potential impacts for communities around our coast. Will we see coastal flooding associated with these high tides? With high pressure forecast over the next 10 days it is unlikely that the weather will play a large part in water levels over the period of high tides. In fact, the influence of high pressure may actually reduce the water levels slightly. As ever, you can find out more about what weather to expect with the Met Office’s forecasts and severe weather warnings. The Environment Agency and the Met Office are working together to closely monitor the situation, and the Environment Agency will issue flood alerts and warnings as required. “The flood risk is low over the next few days. Some of the highest spring tides of the year start this weekend but as we are not expecting any unsettled weather, it is unlikely that this will lead to flooding of coastal locations. For those in Scotland, you can see flood updates for your area on the SEPA website here. For those in Wales, you can see flood updates in English and Welsh on the Natural Resources Wales website here.